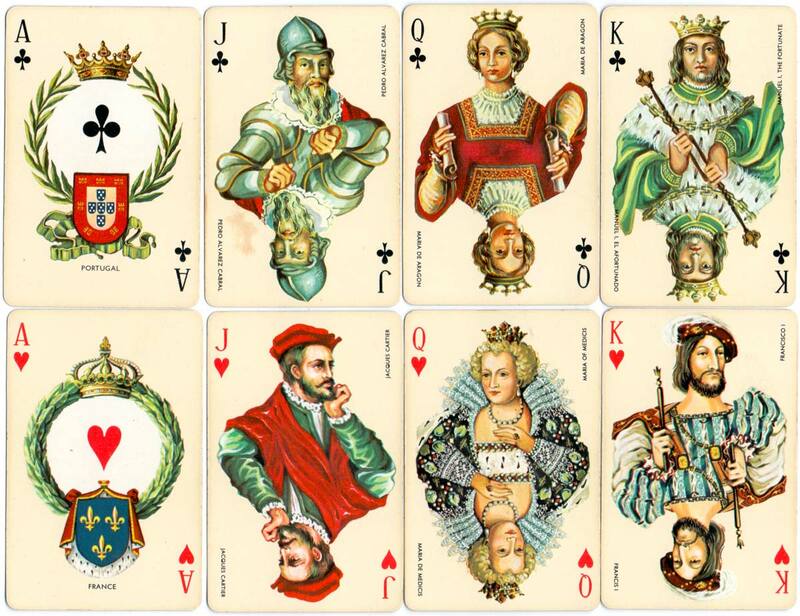 “European Naval Powers” deck illustrated by Isabel Ibáñez de Sendadiano and produced by Heraclio Fournier in 1981. 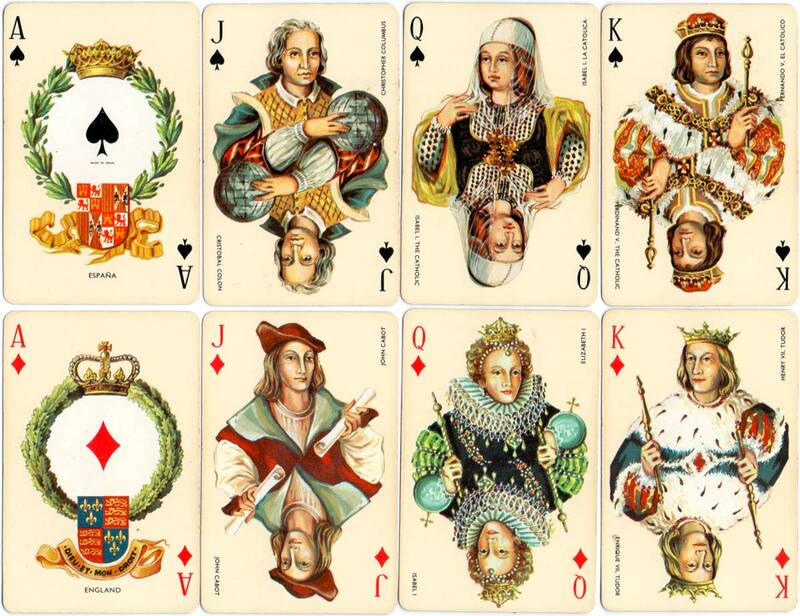 The court cards depict prominent personalities from four XVI century European navies, whose names are printed along the side of each card. The four aces show crowned wreaths with the coats of arms of the respective countries. Above: European Naval Powers double deck illustrated by Isabel Ibáñez de Sendadiano and produced by Heraclio Fournier in 1981. 2 x [52 cards + 2 jokers + extra card] in box.